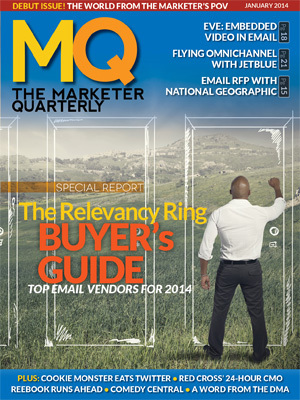 In the debut issue of The Marketer Quarterly, we uncover all of the challenges facing email marketers today. National Geographic shares insights on how they shopped around to find the perfect vendor; Comedy Central reveals tips for crafting the perfect email; and JetBlue Airways talks about their approach to omnichannel marketing. In our main feature we ride alongside the CMO of The American R..